What is your home telling you to do? Look around you. (No, seriously – have a look!) Is it telling you to clean? Declutter? Do some paintwork touch-ups? Imagine, though: what if it could tell you to do something really useful? What if it could remind you to pray? You’re a busy mom, a wife, a homemaker, a blogger or entrepreneur, or a combination of those. Your days are full and busy. Which means that if you’re not careful, prayer can end up slipping to the side. How can prayer become less of a task that never gets done, and more of a lifestyle? As much a part of your daily routine as breathing? If you’re a wife, mom, homemaker and/or entrepreneur, you work in your home and you work from your home. So, one thing you can do – especially if you don’t always get a lot of alone time – is to use your home as a reminder to pray. By turning not just a closet, but your whole house into a war room! By turning your whole house into a war room, you’ll have constant reminders all around you to pray. Just like Miss Clara and Elizabeth in the movie, you can hand-write Scriptures and prayer points and pin them up anywhere in your home where you’re most likely to notice them. 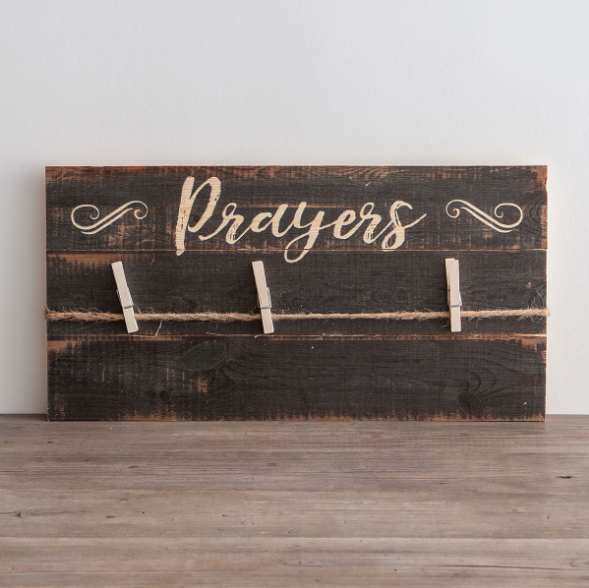 But you can also use various prayer-themed Christian decor items throughout your home for a more subtle and stylish look. What better place to pin your handwritten prayers, Scriptures and prayer list than this gorgeous display board that looks like something right out of Miss Clara’s Wall of Remembrance! You could place it in your hallway, your living room or your dining room (although something this beautiful could definitely work in any room you choose!). 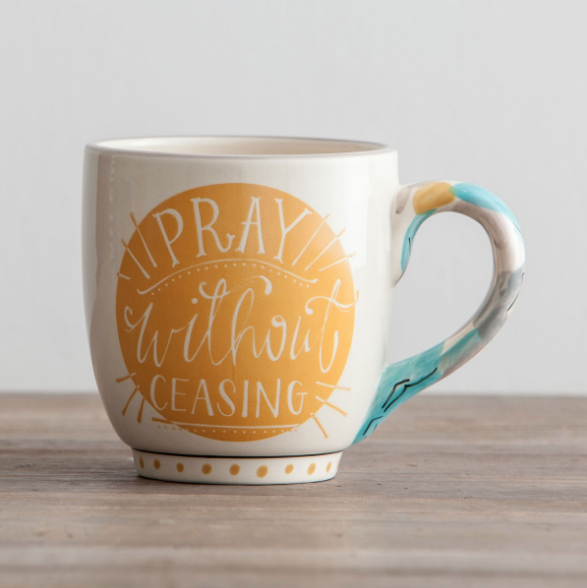 Bright and cheerful, this jumbo mug will definitely remind you to pray with every sip. Use it first thing in the morning to remind yourself that prayer ought to be a lifestyle – not a chore. Not just for your kitchen, this item is definitely portable and can go with you into any room (well, except the bathroom, hopefully…)! Nothing like a not-so-subtle reminder when you’re trying to form a new habit! 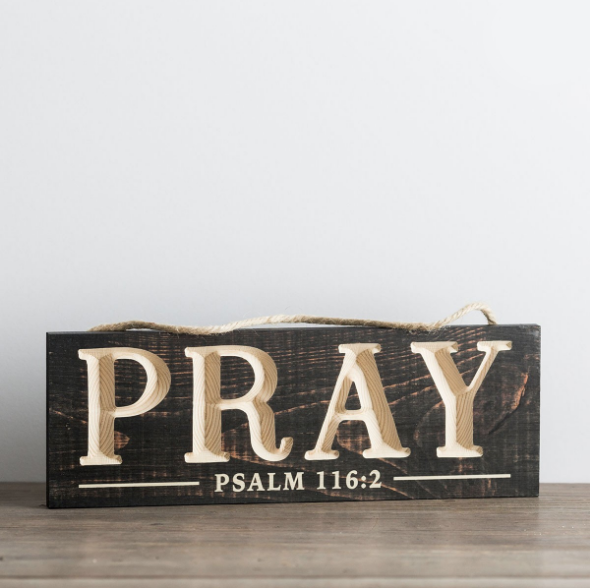 This lovely, carved dual-tone plaque will definitely give you a bold prompt to pray. It would look lovely in any room, including the bathroom, or your main living room. Remember to pray with your children each night when you’re tucking them into bed with these bright and encouraging pillowcase covers. There are two different styles: one features the text of the Lord’s prayer, and one features the ‘Now I lay me down to sleep…’ bedtime prayer. Of course, you don’t have to use them for kids – if you need a reminder to pray at night, they’ll fit adult pillows, too! These porcelain prayer plates are ideal for either daily use as serving plates or they can be put up on the wall as delightful decor. These would be beautiful additions to your kitchen or dining room, or you could even display the ‘We Open Our Home’ blue one in your entryway or hallway. Can you please pass the salt? Of course! 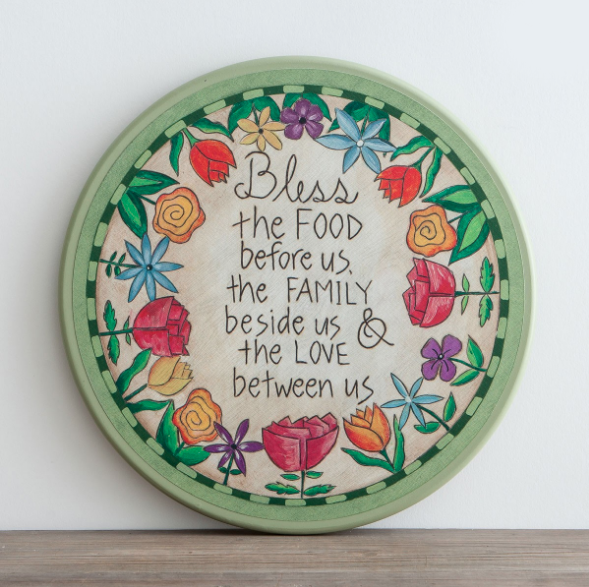 Make mealtimes a breeze with this handy Lazy Susan, that will also serve to remind you to pray before each meal. With cute country style artwork and a sweet prayer blessing, this will make a beautiful centerpiece on your dining room table for guests and family alike. 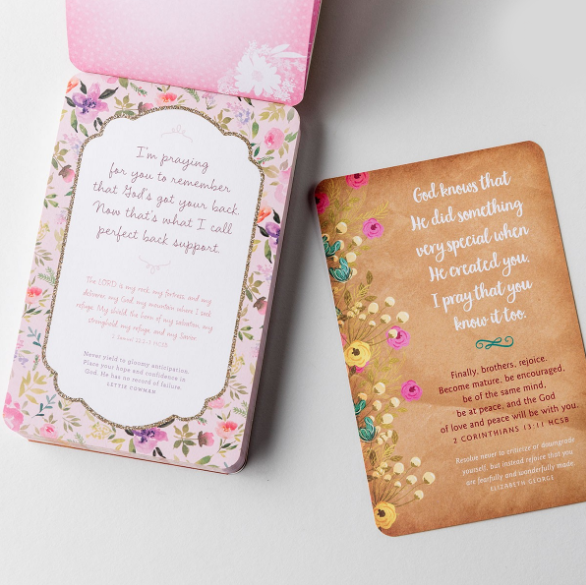 This great notepad is filled with 100 tear-out and pass-along encouragement notes and each page features a quote, a Bible verse and a note of how you’ve prayed for the recipient. A few of these would be especially lovely pinned up in a guest room, or keep them in your purse and pray when you’re out and about, then bless someone by giving them the note after you’ve prayed it. 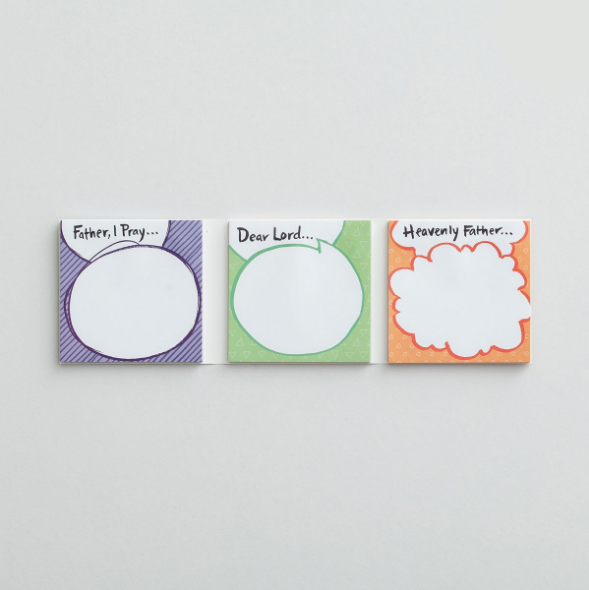 If you’re looking for a quick and handy solution for a War Room style wall, then these Sticky Prayers sticky notes will come in very handy! Put them everywhere and anywhere you want to be reminded to pray, and use them to write mini prayers on or even just prayer points you want to remember to cover. So, if you usually find yourself climbing into bed each night wishing you’d spent more time in prayer during the day, consider implementing some of these ideas to turn your whole house into a war room. Even with only one or two of the resources I’ve mentioned, you’ll have beautiful reminders to pray, and helpful prompts for what to pray about. Start small, if you need to, and build it up. But start! What’s the one thing you could purchase or display right now that would help you remember to pray more throughout the day? Go get it! And as you place it in its new home, pray that the Lord will use it to remind you to seek Him in prayer each and every time you see it. PRAY: That the Lord will help you to not just collect or display prayers and prompts, but that He will help you to pray them, and pray more often. STUDY: Luke 18:9-14 for an eye-opening reminder on the true heart of prayer. DOWNLOAD: I’ve made some free printable prayer cards for you to display in each room in your ‘war house’! Print them, cut them, stick them and pray them! Lois! I LOVED this post! I never looked at my home as a war room before but, I totally get it. In our home we have scriptures randomly dispersed throughout on artwork, hand towels and on some of our coffee mugs. I really loved this post. You know we have a command center in our home I bet I could turn that chalkboard in to a prayer list. Such a great post. Oh, Amanda – thank you so much! Wohoo – yeah, you could turn that chalkboard into a prayer list! 😀 So exciting! Love your ideas Lois! I’m definitely discovering the blessing it is to cover my home with Scripture! Thanks, Dani! 🙂 Yes, Scripture throughout our homes truly is a blessing!